WE GIVE HIGH LEVEL RESOURCES TO SCHOOLS & CLASSROOMS! We support educators (& their family communities) who are committed to providing the tools necessary for our youth to thrive within a 21st century world. We believe there are tools that can foster the strong connections, skills and compassion that will allow our youth to seek and solve very real challenges within a global, rapidly changing world. With our SUPPORT & ORGANIZATIONAL ALLIANCES, we hope to reach EVERY CLASSROOM & COMMUNITY. 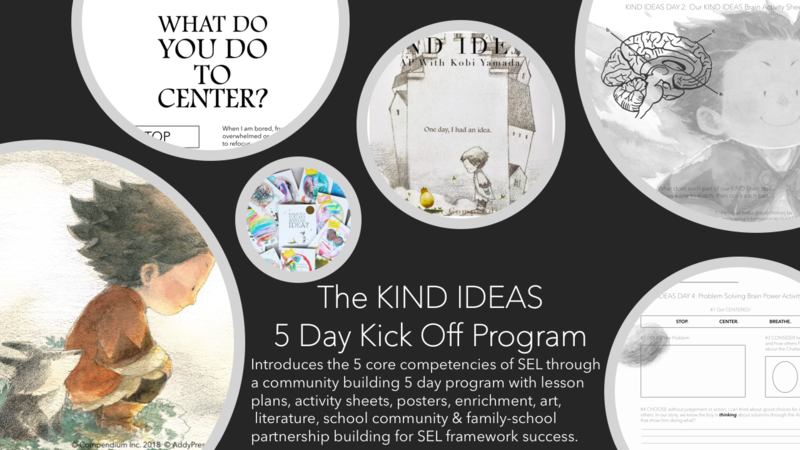 The KIND IDEAS GIVE PROGRAM is the gateway into our RECIPIENT NETWORK, activating a 7 STEP DISTRICT LEVEL SUPPORT SEQUENCE that includes FREE introduction tools & resources, including the elementary level, KIND IDEAS 5 Day Kick Off Experience AND MORE! This high level 5 day experience was developed in partnership with New York Times Best Selling Author, Kobi Yamada. Learn More about our KIND IDEAS GIVE Program. THERE'S MORE GIVE to GET for EDUCATORS! DISTRICT LEVEL PARTICIPATION in our KIND IDEAS Give Program not only offers high level GIVE resources, frameworks & support, but ALSO OPENS ACCESS to our most powerful support tool: the EDUCATOR'S COMMUNITY FORUM. 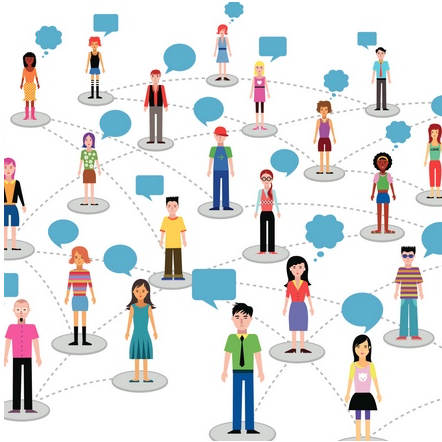 Here, we CONNECT our committed educator network to the sustained support for training, programs and real world opportunities they NEED! Membership is Your First Step To Get the GIVE! You can gain many GIVE OPPORTUNITIES for your school & district as a parent or an educator!!! Becoming a member opens these opportunities and other member only resources in partnership with our high level alliance networks! So, sign up as an EDUCATOR or a PARENT/FAMILY MEMBER (because your member resources are curated specific to your needs), and FOLLOW THE SIMPLE STEPS BELOW to GET THE GIVE! 1. Become a FREE AddyPresLifeSTYLE EDUCATOR Member, (by clicking button below). 2. As a member, VISIT the AddyPresLifeSTYLE EDUCATORS Page, locate the appropriate DISTRICT, SCHOOL or CLASSROOM level SEL TOOLBOX. Click into the ToolBox. 3. Within the TOOLBOX, CLICK the BUTTON LINK titled "Become A Give Recipient". 1. Become a FREE AddyPresLifeSTYLE FAMILY/PARENT Member. 2. 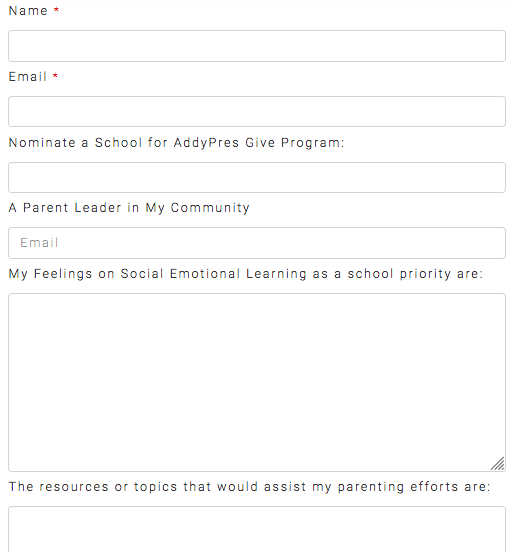 VISIT the AddyPresLifeSTYLE FAMILIES Page, where you can click into the "Parent Tool Box". 3. Within the PARENT TOOLBOX, FILL OUT the quick e-form located at the bottom of the page, making sure to NOMINATE YOUR CHILD'S SCHOOL within the form. 200 school level parent nominations gains the give for your school! So, tell your friends!!!! 4. TELL YOUR EDUCATORS about AddyPres' K-12 KIND IDEAS GIVE Program, so we can help bring high level resources to your child's public school! PARENTS! ANOTHER KIND IDEA to help bring our GIVE to YOUR CHILD'S School! The ©KIND IDEAS Elementary Level Kick Off Experience is a high level experience for your child, school & family! Introduce the ©KIND IDEAS opportunity to your child's elementary teacher with a beautiful gift! 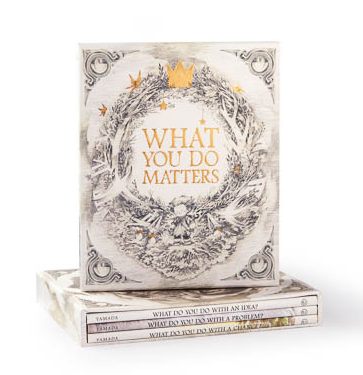 The New York Times Best Selling, "What You Do Matters" 3-book bundle Written by, Kobi Yamada & Illustrated by Mae Besom, because all three books are used in our 5 day experience! ON THE GIFT TAG, be sure to write: "Thank you for being such an exceptional teacher for my (son/daughter)! 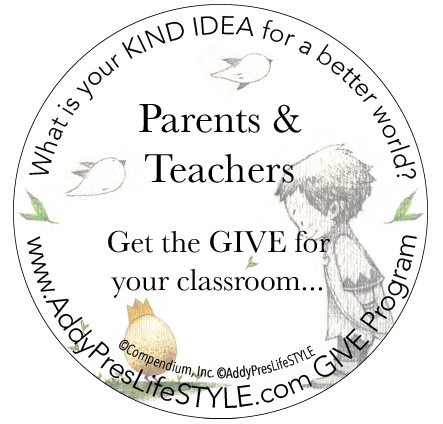 Please accept this gift for your classroom and learn more about the ©KIND IDEAS GIVE Program at AddyPres.org, they help bring district level funding opportunities to public schools!" SUPPORT OUR GIVE PROGRAM BRINGING 21st CENTURY RESOURCES TO PUBLIC SCHOOLS!! If you are interested in becoming part of our SPONSOR SUPPORT NETWORK, supporting public schools, families & our affiliate organizations, THANK YOU!! Your support helps us build the compassionate stewards who will lead in a diverse 21st century global community, creating a BETTER world for PEOPLE & PLANET! We put high level resources into educators hands. If you are a commerce leader or corporation, please learn more about our mutually beneficial partnerships by contacting us today, we look forward to a partnership we can build for our communities & schools! If you are an individual interested in sponsoring our work, THANK YOU! Please visit our SPONSOR NOW link. Social Emotional Learning (SEL), as defined by the Collaborative for Academic Social Emotional Learning, is the process through which children and adults acquire and effectively apply the knowledge, attitudes, and skills necessary to understand and manage emotions, set and achieve positive goals, feel and show empathy for others, establish and maintain positive relationships, and make responsible decisions. SEL is not a single program or teaching method but an integrated approach across classrooms, schools, districts, homes & communities. SEL is emerging as a KEY INDICATOR OF STUDENT SUCCESS in life and learning. The work of the AddyPres organizations advocates for and supports CASEL recommended SEL frameworks as a powerful tool that can build positive life skills that better prepare ALL CHILDREN for the world they are being handed NOW. Our organization offers high level introductory & awareness educational resources, supports evidence based training & programs and provides sustained support for real world opportunities that prepare & enrich 21st century learners. Our mission is to connect family, education, community & commerce to create a BETTER world for PEOPLE & PLANET.